He has a bunch of other closed companies. This company was great, i am very pleased with their work, i moved from FL to NY, i had a lot of glass items, and they did a great job wrapping them. The price was what they quoted me, thank you Shoha my statue made it safe :) - i must say i was impressed with the way i kept getting messages with updates. Thank you Mint Moving and Storage, i will definitely spread the word about how great you guys are. I moved on Monday, June 25, and I couldn’t have asked for any two better movers than the three men(Aliko,Sergio,Francisco)that moved my furniture. They were professional, courteous, hard working, and very pleasant to work with. They represented Pick Up Movers extremely well. I will definitely recommend Pick Up Movers to anyone looking for a professional moving company. Thank you for a job well done! Our long distance move had multiple unexpected challenges. Mint Moving and Storage found effective responses to every one. I was particularly impressed by the team work shown by our movers under many obstacles. I was particularly impressed with the leadership of the foreman. Despite the obstacles, our move was finished on time and all items were delivered safely. I was so impressed with the customer service. Shannon was attentive, communicative, and so helpful before the move in date. She even called half-way through the move to make sure everything was going well. The guys moved our stuff quickly and efficiently, and there was absolutely no hand holding involved. I was even able to get some work done! I would definitely recommend them to friends, plus the pricing was very reasonable. I have been referred to Mint Moving by 2 of my friends who had amazing experience with them. The in phone came in and gave me a good estimate. The moving crew was amazing, very courteous and have done an amazing job. I moved from a 3 bedroom apartment and had a lot of delicate and expensive stuff. The guys accommodated every request of mine. I would use them again if I have to. Honestly, this was the best moving experience I've ever had. They were delightful and not only were the most reasonably priced movers but also the most helpful and diligent throughout the whole process and during the move itself. 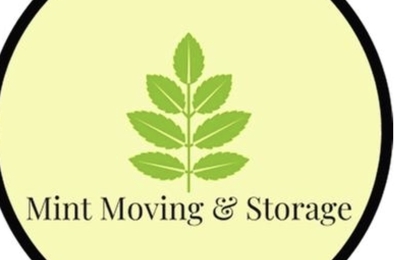 I will definitely recommend them to friends and family and will use them if/when I need to move again! 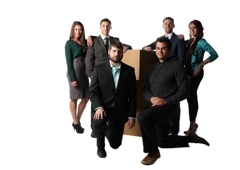 I have used Mint Moving company’s a lot because I am in the military and I move a lot. By far Mint is the best company you can hire. From the first contact to the last. I used a internet search this time to find a Long Distance Mover and was bombarded with phone calls. Mint was very honest to explaining the packing to the logistics of my move. (Which other companies failed to do) From competive quote to actual cost and service I would recommend this company 10 stars if I could.